What Role Does China Play in the Middle Eastern Affairs? The visit the Saudi King Salman ibn Abdul-Aziz paid to China, quickly followed by Benjamin Netanyahu’s trip to Beijing, has once again drawn attention to China’s position amid the turbulent events taking place across the Middle East. This topic is particularly relevant for Russia, which has found itself in the midst of ongoing regional events. 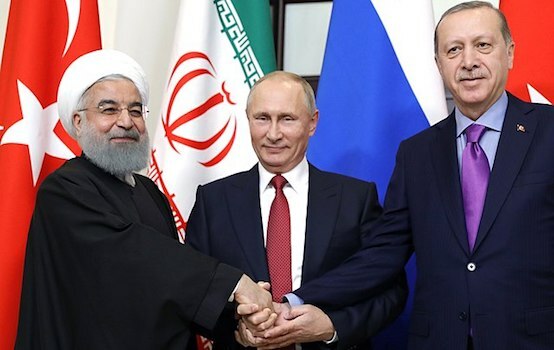 Apparently, Russia was confident in its belief that the Middle East is the center of geopolitical changes today, and has been for quite some time. However, it prematurely assumed that Chinese regular forces or, in the very least, military advisers are going to be deployed in the region to assist the legitimate Syrian government, as well as supply the government with a wide range of equipment and even weapons. However, there are no signs pointing to this development, and one would have a hard time seeing any in the foreseeable future. It doesn’t mean that China is neglecting the Middle East, it does however mean that the initial assumption about the importance of the region to Beijing may have been false. For the center of a new (after the end of the Cold War) geopolitical game is located in a completely different region, where major players like the US and the People’s Republic of China have been struggling to get an upper hand for decade – the Asia-Pacific region. This game is becoming increasingly tense in and around the Korean peninsula, passing through the East China Sea, Taiwan and ending in the South China Sea near the eastern entrance to the Strait of Malacca. China does not yet have the necessary military capabilities to ensure the protection of its interests in this area. The role Taiwan plays for Beijing should also not be overlooked. The political struggle for this island that is a hundred miles away from China’s coastline is of paramount strategic and moral importance for the Chinese government. On its western border, China is trying to improve a complex relationship with yet another Asian giant – India, which is being pitted against Beijing by both the US and Japan for very obvious reasons. Therefore, Beijing doesn’t feel capable of carrying on any sort of intervention in remote regions of the world, including the Middle East. This, however, does not mean that China does care about this region or has no interest in it. 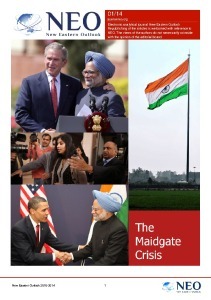 Thus, it is using economic tools to apply leverage upon the course of events taking place in the Middle East. For instance, it has been discussing free trade agreements with the above mentioned major players in the region. For King Salman ibn Abdul-Aziz, a visit to China became one of the main elements of his Asian tour and a sort of a response to Xi Jinping’s visit to Saudi Arabia which occurred last year. Saudi political elites have already shown signs of interest regarding the ambitious Chinese One Belt One Road concept. It could play a part in this project by constructing the YAARSEEF refinery on the Red Sea with associated infrastructure reaching some 10 billion dollars in investments. The new Silk Road would stretch across the China-Pakistan economic corridor, to the territories of Saudi Arabia and Israel, if the latter were to support this project. It’s hardly a secret that everything connected to Saudi Arabia is oil-related, so Salman ibn Abdul-Aziz’s visit to China resulted in 65 billion dollars worth of oil deals. 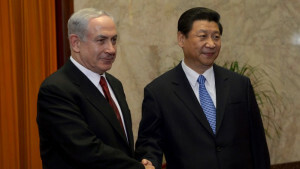 As for Chinese-Israeli negotiations, Tel-Aviv remains in a difficult position even after the favorable presidential election in the United States. Therefore, Tel Aviv’s attempts to raise the level of relations with this second world power looks fairly logical. At the same time, one should not forget that China is the main geopolitical opponent of Israel’s “older brother” – the United States. Moreover, in mid-January, Netanyahu threatened all states that that voted for the UN resolution declaring Israeli settlements illegal with lower level diplomatic relations. Among these countries was China, which has always supported the Palestinians in one way or another. However, during the talks the parties tried to avoid such topics as much as possible. Both Xi Jinping and Benjamin Netanyahu confined themselves to common phrases about their adherence to peace, stability and prosperity of the Middle East, in the interests of all countries, including Israel and China. Instead the parties focused on economic cooperation, or rather, on cooperation in the field of modern technologies, and here, of course, Israel has something to put on the table. It’s noteworthy (and probably exceptional in modern international practice) that the parties are heading to an “all-round innovative partnership”. Particular attention in the course of such cooperation will be given to joint developments aimed at solving the problem of environmental protection, which is of critical importance for China. The only matter left to discuss is the question of the coincidental nature of the back-to-back visits to China, or the absence thereof. In this regard, one should once again pay close attention to Israel’s readiness to join the practical implementation of the One Belt One Road concept. It should not be overlooked that China understands the difficult transition from rhetoric to actual business deals that some countries are unable to make without solving fundamental geopolitical problems. And the US is not the only obstacle here, since Chinese-European relations remain fairly complicated. The results of the talks with leaders of the two leading countries of the Middle East has again shown that Beijing, for the time being, is going to limit its commitment to regional security to purely economic measures, trying to play the role of an “honest broker” who does not carry “historical luggage” related to certain European states and the US. This approach may allow it to score some points in the region, there can be no doubt about that. Sharply increasing its military presence here (despite the above lack of available capacity), China can only force certain extraordinary events. For example, a (hypothetical) increase in the level of military presence in the Indian Ocean and near Japan, especially in a (quasi) alliance with India.